[prMac.com] Xi'an, China - Independent development team, WDSoft is today proud to announce the release and immediate availability of FLAC to MP3 Mac 2.0, an important update to their free macOS application that converts FLAC (Free Lossless Audio Codec) audio files to MP3, WMA, M4A, AAC, OGG and WAV audio formats. By simply dragging and dropping FLAC files into the app, the files are instantly converted to the smaller, more portable MP3 format or one of five other popular audio formats. Users can covert FLAC files to MP3, AAC, M4A, OGG, WAV, and WMA audio formats. Audio files formatted in WAV, WMA, AAC, and other formats can also be converted to MP3, making them easy to play on almost any device or most music apps. In addition, anyone can extract the audio from popular video formats including MP4, MOV, AVI, MPG, WMV, M4P (no DRM), and more. "While the FLAC audio format is a favorite of audio purists, due to its lossless data compression algorithm, the resulting files are large in size. This makes FLAC a less than ideal format for the relatively small storage amounts offered by mobile devices such as the iPod, smartphones, and tablets," says Wu Di, CEO of WDSoft. "By using the FLAC to MP3 Mac 2.0 app, Mac users can quickly convert FLAC files to almost any popular compressed audio format. All it takes is a simple drag-and-drop of their FLAC files into the app. To convert FLAC files to another format, anyone can simply select their conversion preferences, including file type, bitrate, and more. They then select which folder on their hard drive they want to save the converted audio files to. 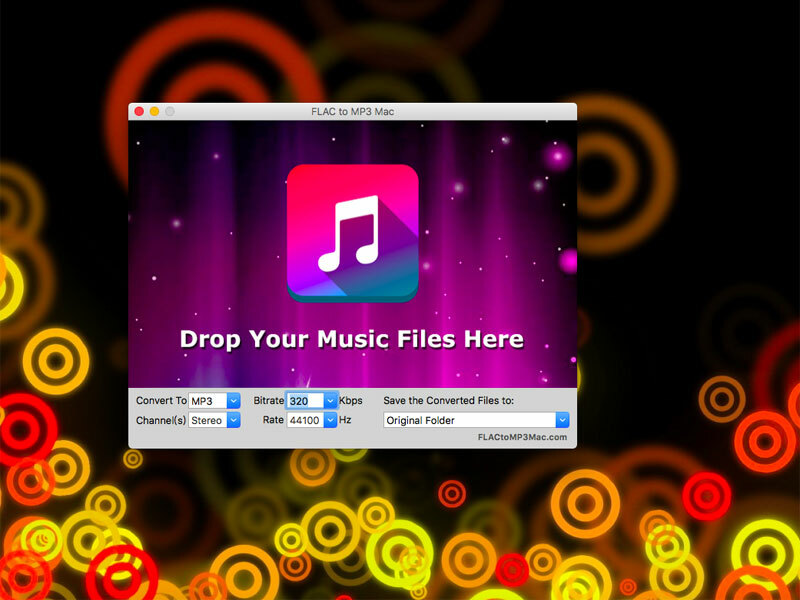 With a simple drag-and-drop of their file(s) into the FLAC to MP3 Mac app window, the application immediately begins the conversion process. Following a short wait, all the audio files have been converted, and can be found in the selected location. The files are ready to play in iTunes or most any other audio player, or on most mobile or audio devices. "Now audiophiles can have the best of both worlds. They can have their FLAC files for listening at home, where they have plenty of hard drive storage to store the larger audio files," continues Wu. "Plus, they can carry all their music on their mobile devices, in the smaller yet still good quality MP3 format. And even better, FLAC to MP3 Mac 2.0 is free to use, with no hidden charges or other catches." FLAC to MP3 Mac 2.0 is free and is available worldwide exclusively through the FLAC to MP3 Mac website. Founded in 2008, WDSoft develops conversion software for macOS and Windows PCs. The company relies on its extensive experience in developing conversion utilities that have already demonstrated their technical excellence and ease of use in thousands of homes worldwide. All Material and Software (C) Copyright 2017 WDSoft. All Rights Reserved. Apple, the Apple logo, Macintosh and Mac OS X are registered trademarks of Apple Inc. in the U.S. and/or other countries. Other trademarks and registered trademarks may be the property of their respective owners.